Culligan PR-3 package contains three PR-1 filters. WQA Certified. 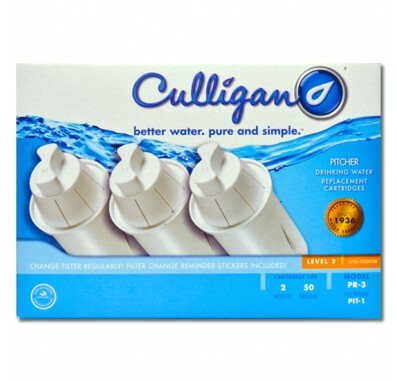 The Culligan PR-3 filters work with Culligan Pitchers. The Culligan PR-3U is a more Universal filter and works not only with Culligan Pitchers but it also works with Brita and Pur Pitchers. 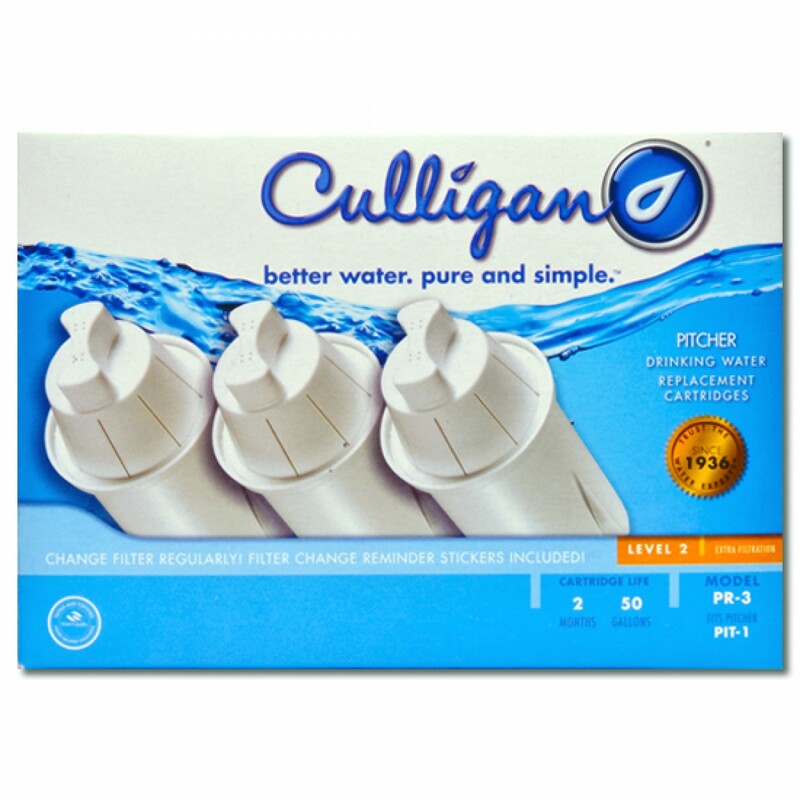 What water pitchers and systems can use the Culligan PR-1 filter?